Contrarians, Part 1 (of 2): Mulder chances upon evidence that suggests the now-defunct Syndicate's involvement in the Iran-Contra affair. 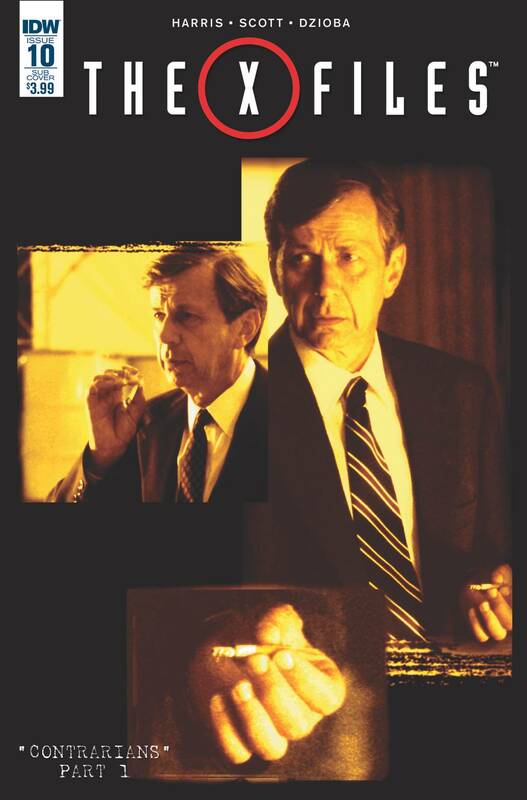 Guest-starring the Cigarette Smoking Man and President Reagan! Executive produced by The X-Files creator Chris Carter! Part of IDW's Artist's Edition Cover Month!